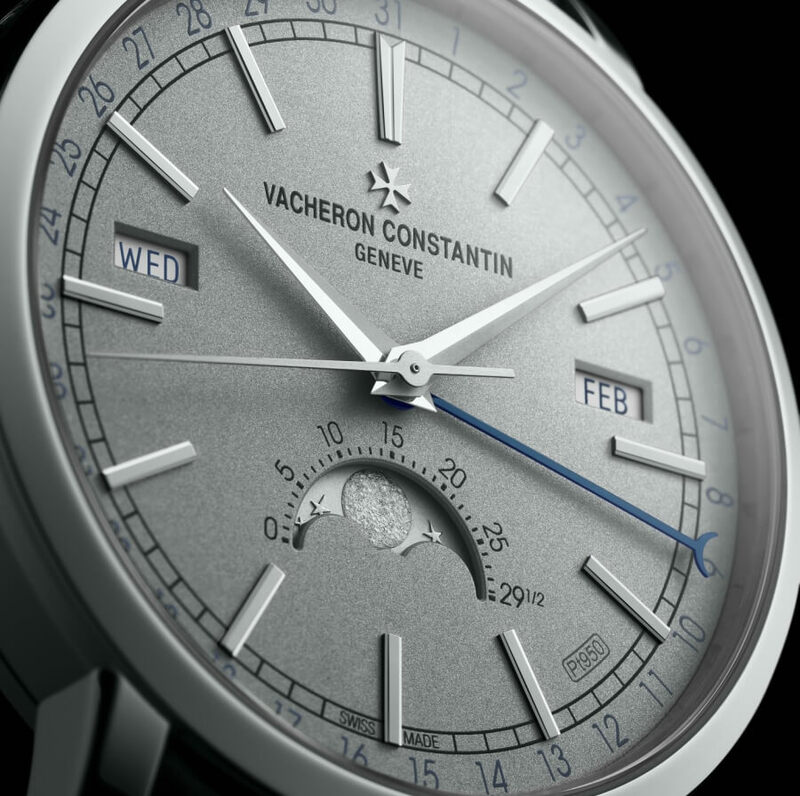 Since 2006, through its Collection Excellence Platine concept, Vacheron Constantin has been offering collectors exceptional watches, ranging from the simplest to the most complex and issued in limited editions. 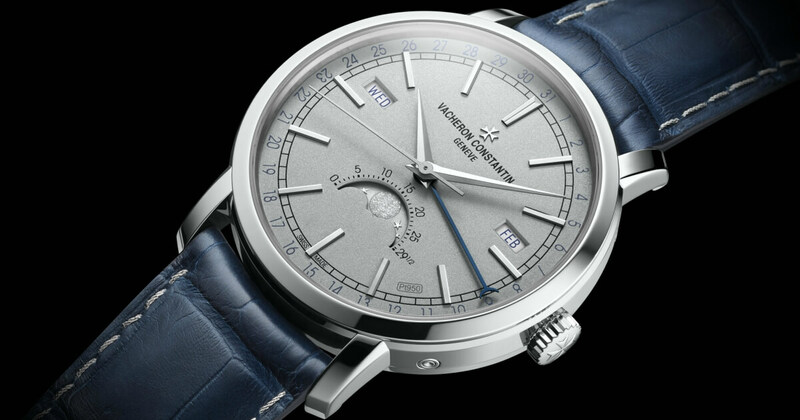 The aesthetic signature of this prestigious range is the 950 platinum attiring the case, the sand-blasted dial bearing the secret "Pt950" inscription between 4 and 5 o'clock, the folding clasp and even the topstitching on the dark blue alligator leather strap. For the pre-SIHH 2018, an eminently useful and refined horological complication - the complete calendar - adopts the understated elegance of the Traditionnelle range, magnified by the precious metal. 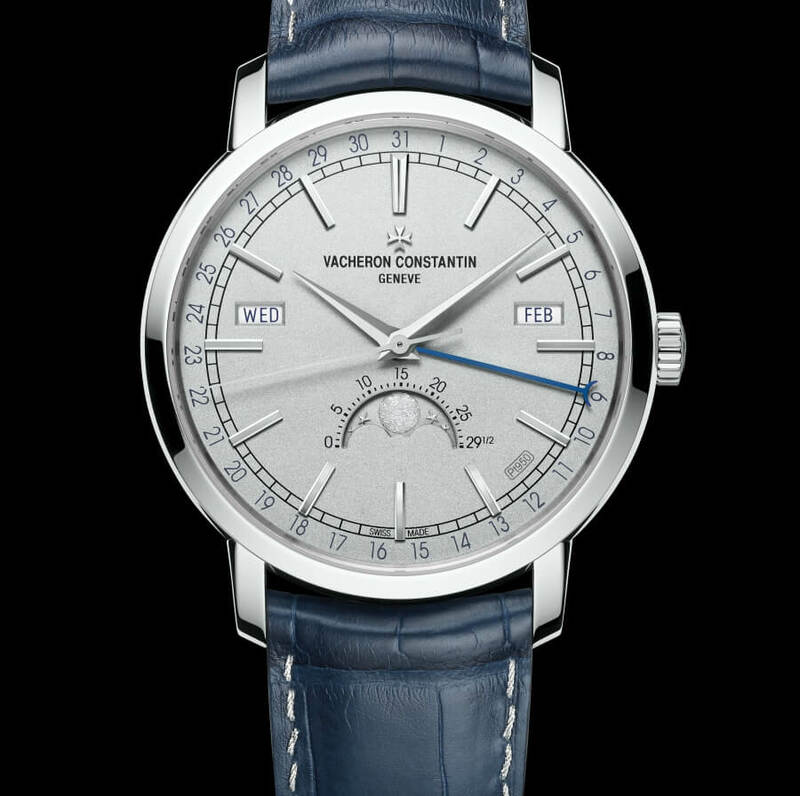 This new Traditionnelle complete calendar watch features all the attributes of its proud lineage. A contemporary expression of the grand Geneva watchmaking tradition, conveyed through a palette of horological complications in a classical design. 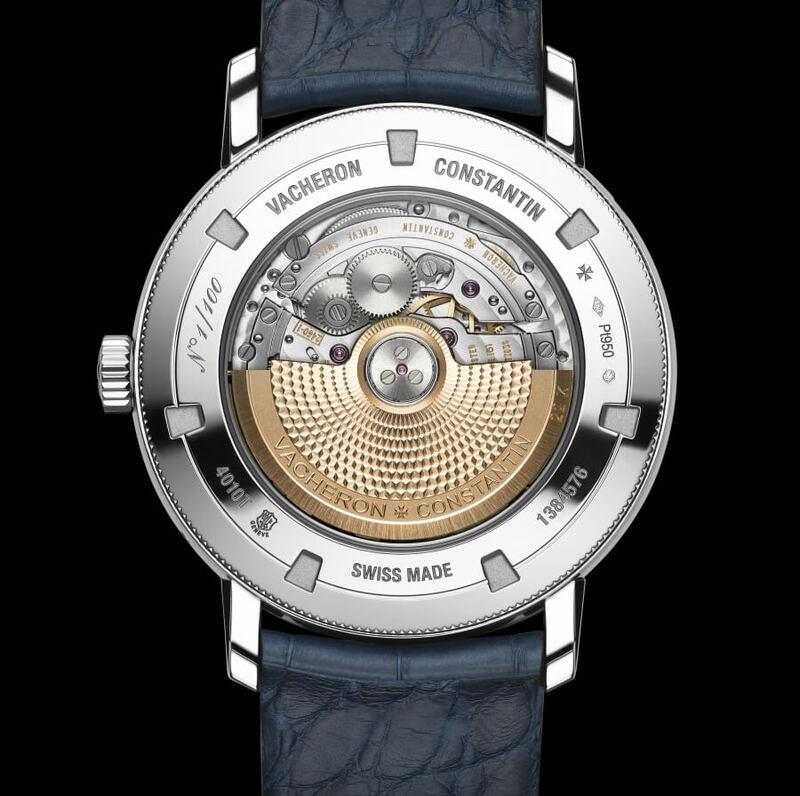 An "Etage" case and lugs, a fluted case-back, a railway-type minute track, Dauphine-type hours and minutes hands, as well as "batons de Geneve" hour-markers: the aesthetic codes of the Traditionnelle collection are all clearly present, complemented by the aura of exclusivity conveyed by the Excellence Platine signature. 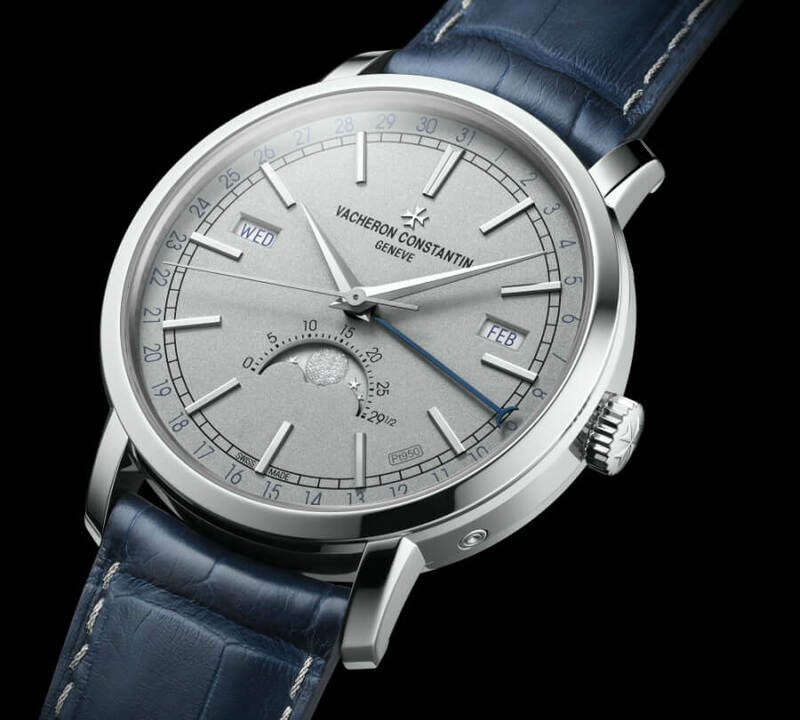 Water-resistant to 30 metres, the 41 mm-diameter case of the Traditionnelle complete calendar Collection Excellence Platine houses the 308 components of Calibre 2460 QCL, a mechanical self-winding movement entirely developed and manufactured by Vacheron Constantin. Equipped with a 22 carats gold oscillating weight, it beats at the frequency of 4 Hz and ensures a 40-hour power reserve while driving the central hours, minutes and seconds, complete calendar (day, date and month), precision moon phase and age of the moon. 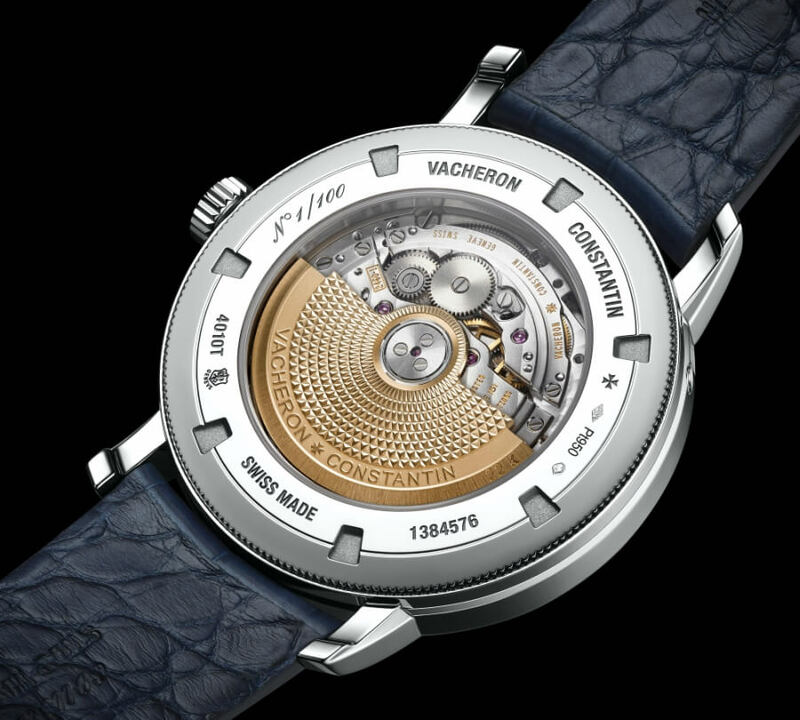 Limited edition of 100 individually numbered pieces "N°X/100" engraved on caseback.